DIAMOND is a gantry style machining centre with 3 or 5 axis for high speed moulds/dies machining as well as aerospace jobs. 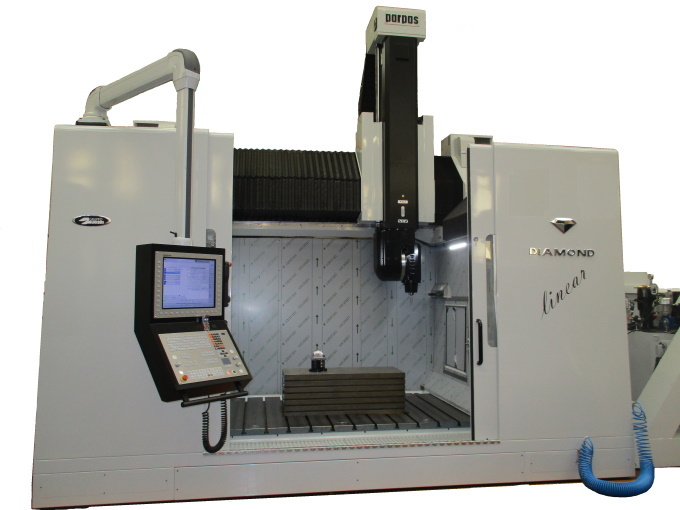 It features a monobloc structure with a gantry moving saddle and stationary workpiece. Machine available also in configuration "Linear", with linear motor for 3 machine axes and torque motor for rotary axes.